The Winery | HarlemGal Inc. There are several Harlem establishments participating in the seventh annual Make Music New York, “the largest music event ever to grace Gotham,” tomorrow June 21, such as Harlem Food Bar, bier international, The Winery and more. There is a new addition to this global musical event. 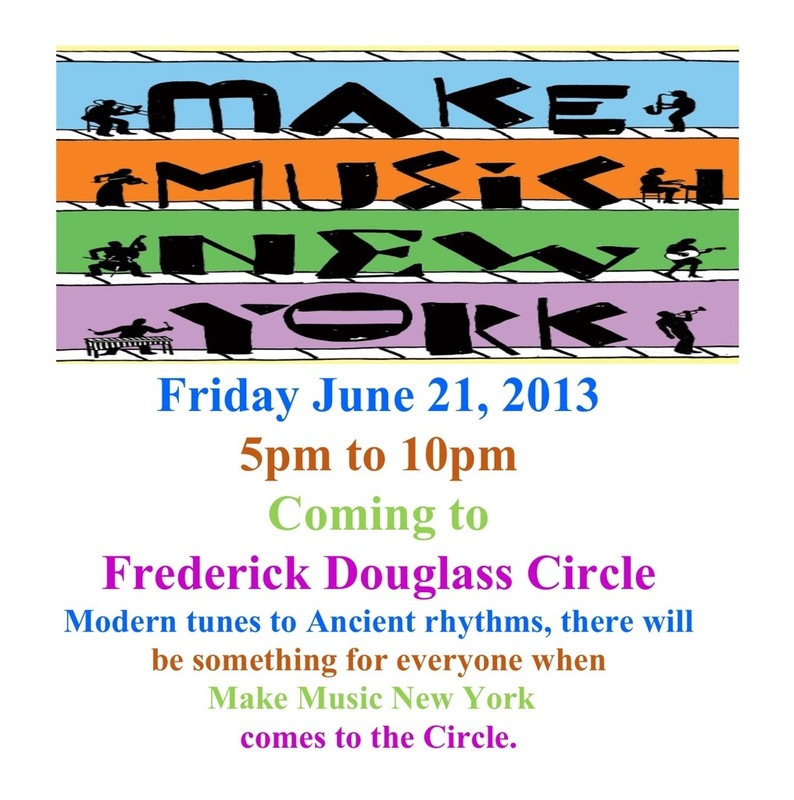 Frederick Douglass Circle will be participating in Make Music New York starting at 5 pm at 110th Street and Frederick Douglass Blvd where Frederick Douglass Circle is located! See details below! Generally when reading about Harlem’s famous or busy streets in the press, it usually about 125th Street, Lenox Avenue or Frederick Douglass Blvd. This time in today’s (Feb. 17) Wall Street Journal, the focus is on West and Central 116th Street in Harlem. The article states there is a gathering of new businesses and future projects, many of them created due to the large condominium buildings, and many of them are drawing more street traffic to a gentrifying stretch of 116th Street, specifically from FDB to Fifth Avenue. In December or January there are always these “best of or the top ” lists created for various sectors. The Winery in Harlem, located at the corner of 116th Street and Frederick Douglass Blvd., recently created and sent its customers a list of their “best value-driven wines selected by popular demand.” They separated their list by the top ten selling in Red, White, Semi-Sweet and Sparkling. I know I made the Malbec reach first place in the Red wine section. That’s mainly what we purchase. If you’re wondering what sells at The Winery, scroll down ! Have a great weekend! Due to a change in rent and needing more space, The Winery, which is currently located at Frederick Douglass Blvd. between 116th and 117th Street, is moving to 257 West 116th Street. Work is happening now on the new space in order for the move to be completed in about a week. Product offering will remain the same. The only things that are changing is location and the awning. When you come out of the B and C train at 116th, you will see the new Winery location on the northeast corner of 116th Street. If you are interested in pleasing your taste buds with “the wines of Alsace,” stop by The Winery tonight on Frederick Douglass Blvd between 116th and 117th Street. They are haveing a wine tasting from 6-8 pm on select Friday nights tonight…and it’s FREE! Stop by the store for more details! See you there!